The School has a number of hidden elements. The first lies in the historical existence of the School itself. That is not to say that any part of the School ever had an invisibility cloak and one might be forgiven for wondering how something currently in 300 acres of parkland could ever be hidden. However, one of the oldest girls’ schools, its existence was one of those ‘secrets’ that those in the know knew but … Educational history is a well-researched field but while much has been written about various girls’ schools, RMSG is never one that is mentioned. As an example, Alice Zimmern, writing in 1898, identified many established girls’ schools in her The Renaissance of Girls’ Education in England: a Record of Fifty Years’ Progress but not one mention, not even a sniff, of RMSG which was considerably older and more well-established than most of the examples she did use. And yet, it was ‘hidden’ in full view as searching online newspapers testifies. The search term the Royal Masonic Institution for Girls has 4,092 hits – and that’s just between 1850 and 1978 (when its name officially changed) and from one online source. There were frequent newspaper reports in the eighteenth and early nineteenth centuries but then, a venture that relied on charitable support did need to advertise its presence. Whilst the School was a Masonic charity, lists of subscribers show only too clearly that there were many other contributors too. So the school’s apparent invisibility was actually in full public view! An article by J R Wade in Pearson’s Weekly in 1934 declares RMIG to be ‘one of the finest schools in Europe’ but adds that ‘it forms one of the never advertised charities of Freemasonry’ which helps to explain how a very large educational establishment can be hidden from view. Another hidden aspect in full view is the statue by E Roscoe Mullins of Ruspini, currently found in his niche on the Chapel’s eastern wall. Nothing at first glance hidden about this you might think, and you’d be right. 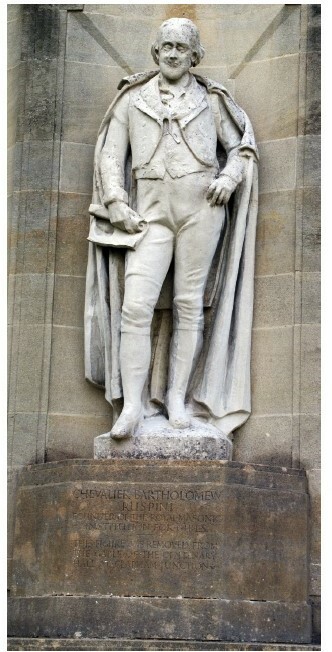 The ‘hidden’ bit relates to the top of the statue’s head. 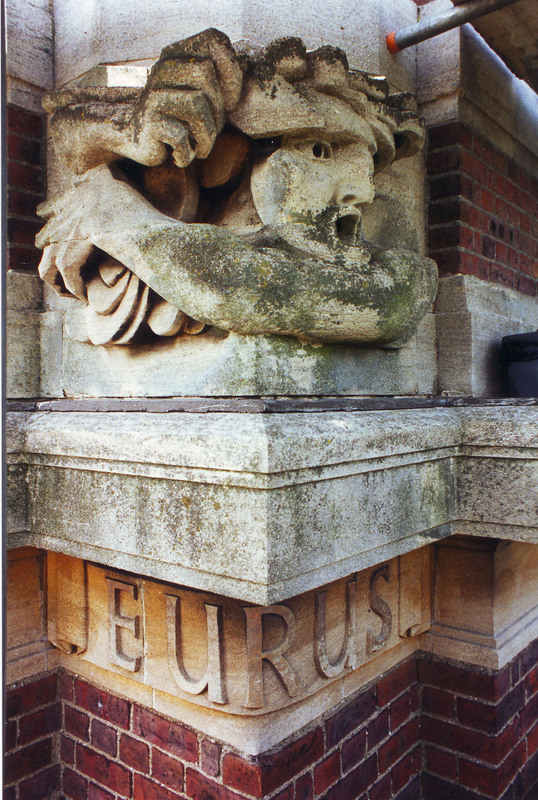 Originally, the statue had been placed high up on the gable end of the School when it was on the Clapham site. Somehow, intrepid girls had discovered that, by scrambling about amongst the rafters, they could reach out and pat the statue on his head. And once one set of girls had done it, another set wanted to try and then it became the ‘done thing’ before leaving the school, for the more trepidatious amongst the pupils, to pat the statue. As soon as the School authorities discovered this, it was immediately banned as a dangerous activity. Perhaps employing a reverse psychology and practically making it mandatory would have taken away the illicit pleasure. A very good example of this was the ladies’ school (not RMSG) which, concerned that their girrrls (as Miss Jean Brodie put it) were reading Lady Chatterley’s Lover illicitly, took the counterintuitive step of making it a class reader. Killed it stone dead! 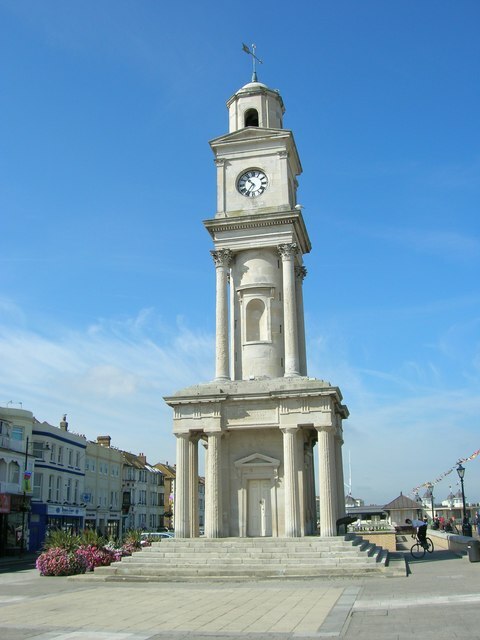 Not far from where Ruspini’s statue stands today is the clock tower at the top of which can be found four sculpted Anemoi (Greek for the wind). These sculptures by Joseph Cribb are barely visible to those on the ground although the pigeons get a good view as they fly past. In mythology they were minor deities, the four chief ones being Zephyrus, Boreas, Eurus and Noter. One of ours must have gone on holiday as we have Auster, which is the Latin name, rather than Notus. Anemoi in Latin is Venti so we have 3 Anemoi and one Vento. Images supplied by Joseph Cribb’s grandson, photos taken by Joseph Cribb himself. It seems a great shame that the sculptures are rarely seen but here’s a closer view (below right) taken when maintenance work on the tower allowed access via scaffolding. Forty years of weathering has hardly made an impact on it. A definitely hidden bit of the School is the service tunnels. Created to allow for maintenance of the buildings above them, they link all the 1934 buildings with the exception of the San (now Cadogan House). For infection control, the San was a stand alone building. 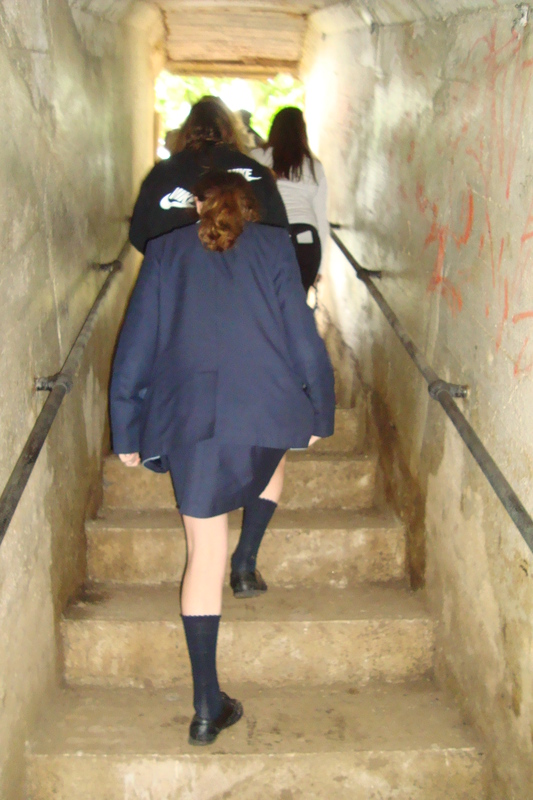 It is possible to walk all round the school under the ground. Possible but definitely not advisable. Walking along tunnels that are all identical but with no ability to define one’s position by reference to external sources is the definition of disorientation. Not only are there no signposts to tell you where you are, there is nothing to pinpoint position or guide direction. Trying to find your way anywhere in the dark is difficult as anyone who has tried it will testify. When there is nothing at all that tells you which way is up, down, right or left, you could wander in a tight little circle whilst believing you were marching forward. Another set of ‘tunnels’ that exist are the air raid shelters. Constructed at the same time as the School was being built, these tunnels are in a zig-zag shape so that the effect from any direct hit from an explosive device would be dissipated by a blast wall. In 1924 an Air Raid Committee established that it might be prudent to have underground shelters available. 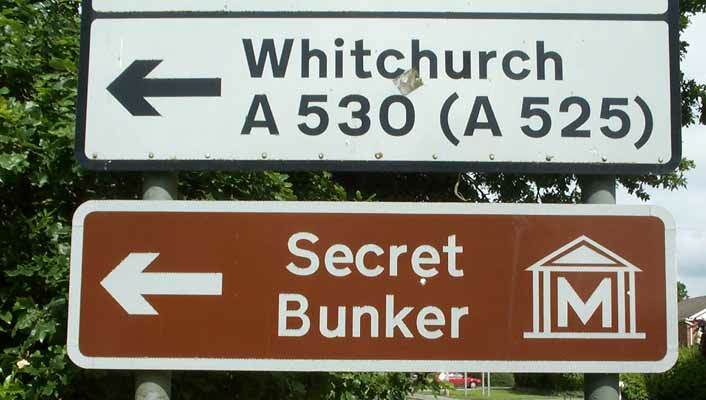 Consequently, large organisations such as the School built underground shelters well in advance of the war. For a school built for 400 pupils, plus all the resident staff, plus the Junior girls who, for the Duration, had been moved from Weybridge, this was no mean feat as the space required was rather large. The shelters were built initially as trenches and, after suitable reinforcing, the ‘lid’ of corrugated iron was overlaid and then earth piled on top. 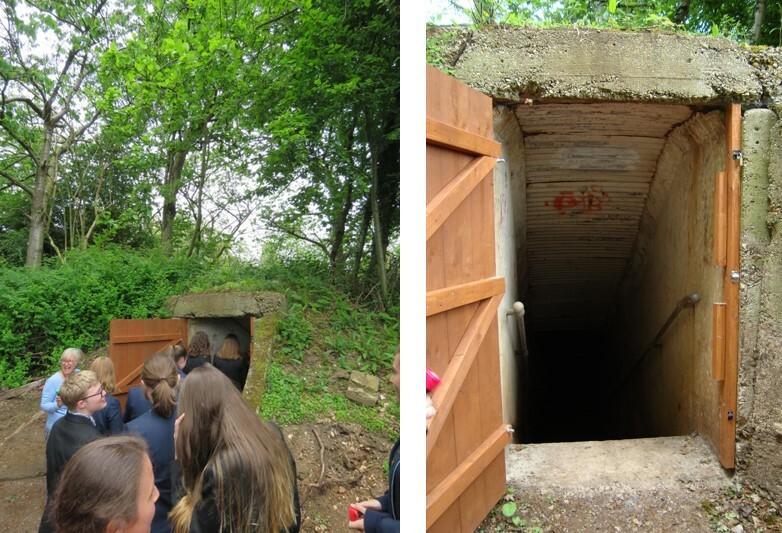 Image on left from https://attain.news/story/network-of-wwii-tunnels-rediscovered-beneath-school-campus; image on right from Archives. During air raids, the girls would troop down to the shelter and spend the night there on wooden benches that lined the tunnels. The shelving on which the blankets were kept still remain in places. Image on the left shows the girls sleeping (probably a posed photograph!) and wearing the pixie hoods, whilst the image on the right is a contemporaneous cartoon drawn by one of the girls. There was an attempt to make the experience less frightening by giving names to different areas such as Moira Mansions or Cumberland Court. Girls who were ill and in the San slept under their beds in the event of an air raid. One girl recalled that, when she woke up one morning, she momentarily forgot where she was and tried to sit up, banging her head on the metal bed frame above her. So her chicken pox was exacerbated with a headache! The floors of the shelters were covered in duckboards, most of which have since rotted away, like the benches, but the remains are visible in places. There were vents at various intervals to allow fresh air to circulate but the construction of the shelters, plus all the entrances, created a natural air flow. There was power supplied to the shelters and lamps could be suspended along the corridors to provide light. It was otherwise pitch black. During recent tours, conducted by modern torchlight, we were instructed to turn off torches. Immediately it became extremely dark – so much so, that girls at once put torches back on as they clearly did not like it. In fact the tunnels had been used by the local fire brigade up until 1988 as a training location to simulate working in pitch black conditions. The original entrances and exits were closed off in the 1960s with entrances bricked up. 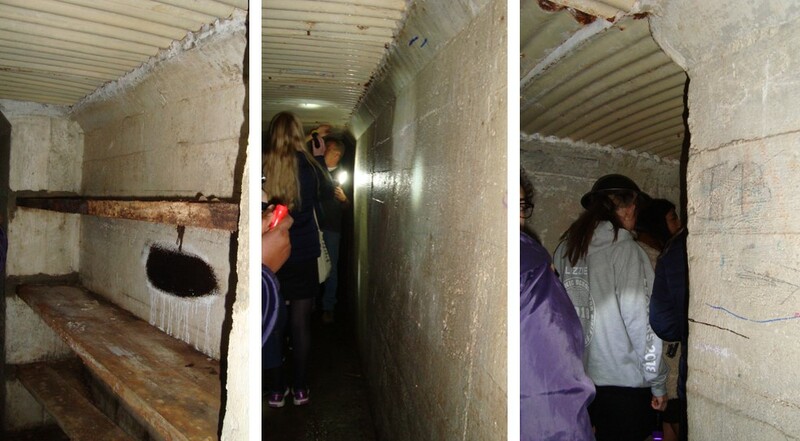 Later, in 2011, the tunnels were sealed with 6 tons of soil and steel plates but in 2018 they were once again opened up for official guided tours for the girls and staff to give them some insight into the School’s history. During the tours, several items have been found: a bone button, a 1916 penny, a protractor (although that looked a shade too modern to be from the war era). There was some wartime graffiti on the walls and, as evidence that post-war the shelters had not been forgotten, some from about 1953 and later. It is a curious thing that people trespassing in places where they are not supposed to be, or doing what they not supposed to do, always seem to want to put a signature to their crime, thus allowing themselves to be readily identified! The tours gave a fascinating glimpse into the past. Nevertheless, it was with a sense of relief that we reached the steps up to the entrance again and out into fresh air. The experience provided an insight into a part of the School’s history that wasn’t secret, had not been forgotten but had been made inaccessible (mostly). And RMSG also has its own Clock Tower which, like Big Ben, is now so much a part of the School visually and aurally that we almost don’t notice it any more. 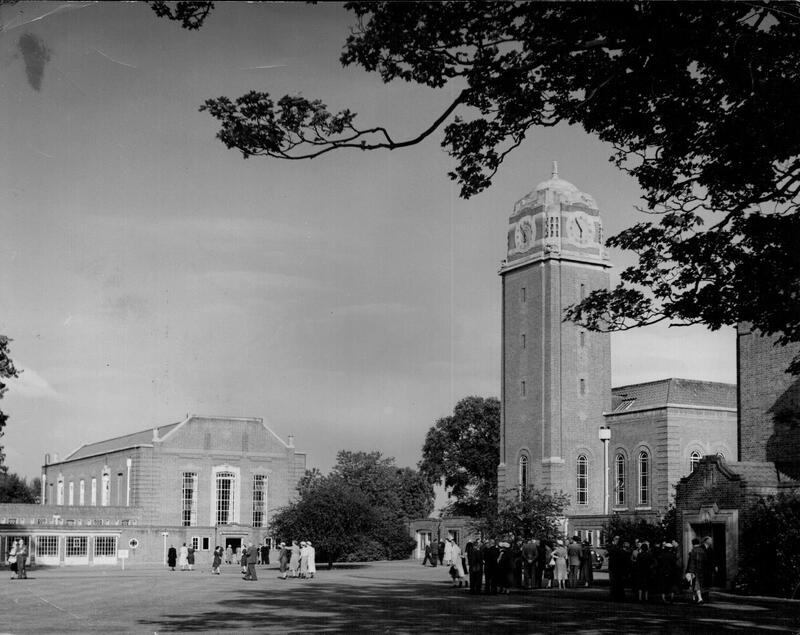 It chimes the hours from 7am to 10pm and can be heard, not only throughout the whole grounds but by a considerable portion of the neighbourhood surrounding the School, for whom it is a very effective timekeeper. In parts of the Garth, the sound has a curious echo which gives it a double chime so that twelve noon seems to have 24 ‘bongs’. 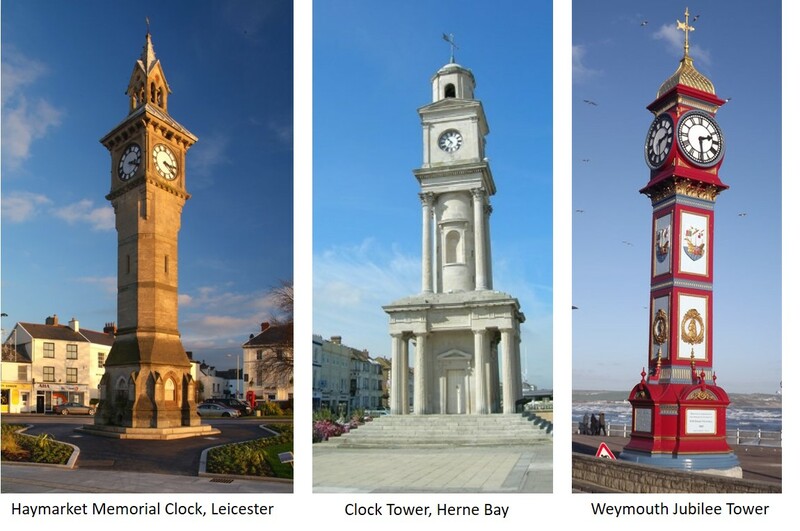 Like all the clock towers featured here, it is not just a stacked pile of bricks with a clock on the top but a carefully designed and decorated piece of architecture. It seems fitting then that, at some point the silk embroidery below was created – a piece of art reflecting a piece of art. 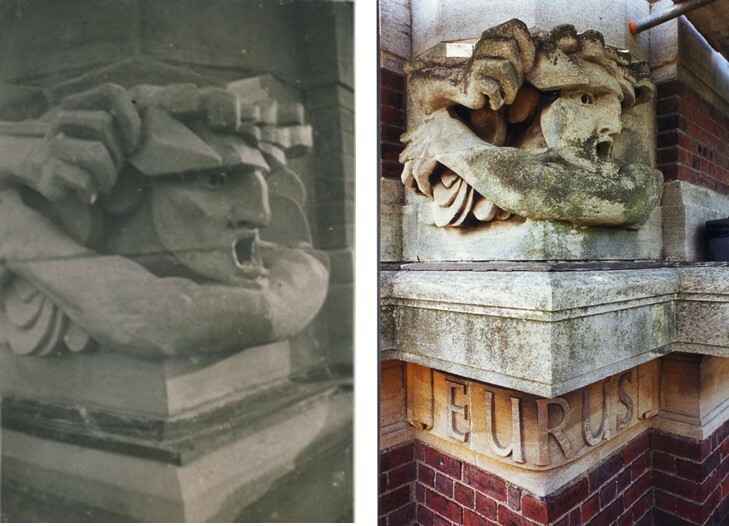 These images were taken by Cribb himself and sent to the School by his grandson. Anemoi (a Greek term; Roman equivalent is Venti) are the Greek gods of the winds, the four main ones being Boreas, Notus, Eurus, and Zephyrus. Boreas was the north wind and bringer of cold winter air and was depicted with shaggy hair and beard, with a billowing cloak and a conch shell in his hands. Notus was the south wind and bringer of the storms of late summer and autumn, depicted as pouring water from a vase. Zephyrus was the west wind and brought light spring and early summer breezes, usually shown as a beardless youth scattering flowers from his mantle. Eurus is the only one not specifically associated with a season and in fact there is not even agreement about whether he is the east wind or the south-east wind. He is sculpted as a bearded man holding a heavy cloak. All of Cribb’s sculptures are identified with the name of the wind they represent although, interestingly, three of them have Greek names and one has a Roman name: Notus is given its Roman name of Auster. No one knows why. After nearly eighty years at the top of a tower, exposed to all the elements, the sculptures are a bit more weathered but they are standing up to the onslaught very well. 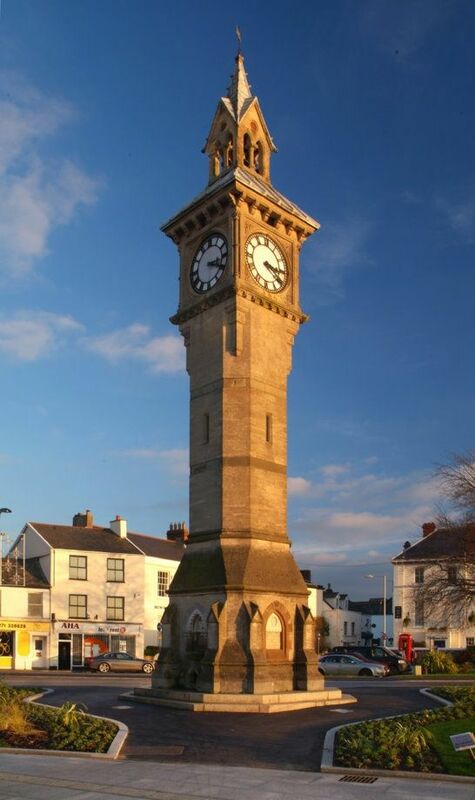 Also at the top of the tower are the clock faces allowing the time to be seen from any direction. Very art deco in style, this must have seemed ultra-modern at the time (1934). More prosaically, the top of the tower also has hidden water tanks to increase the water pressure on the site. And pigeons. As any tall structure seems to accumulate. More of Joseph Cribb’s artistic endeavours can be seen over the doorway at the foot of the tower. But to get back to the bongs. 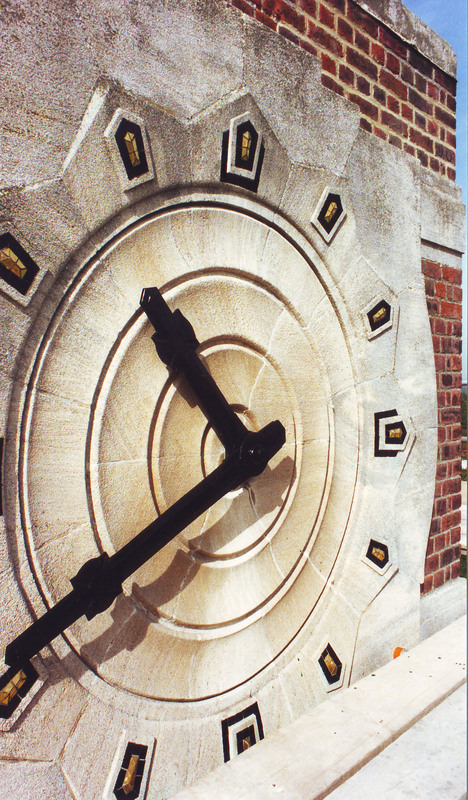 The School Clock Tower chimes the hours loud enough to be heard from some distance. It is even louder inside the building. Which is why it seems a very strange place to have put the library! Perhaps those studying for various exams throughout the years learned to attune their revision around the bongs that punctuated it. Fortunately, today’s pupils do not have that problem as the library is now housed in a separate building. 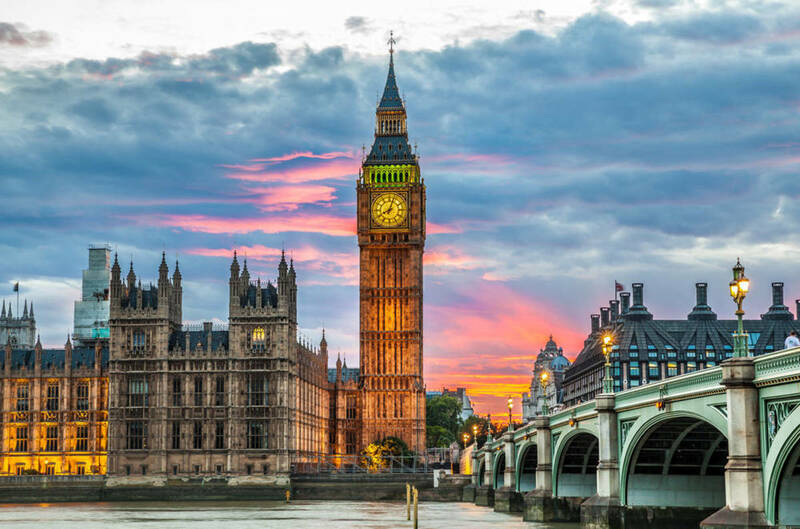 Like Big Ben’s bongs, the absence of them may well be more noticed than their presence. 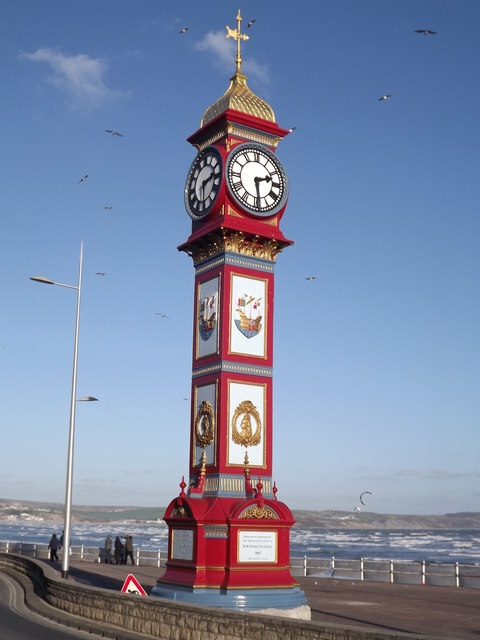 During the 1990s, the School’s clock mechanism faltered and the bongs were suspended while the problem was sorted. Eventually, it was decided that the GALMI principle should be brought into play: Get A Little Man In. A specialist was duly sought and he turned up in his van. Some of the Sixth Form, having as it were a ringside view as their accommodation was then opposite the tower, watched him arrive, assess the situation and then go to the back of his van. 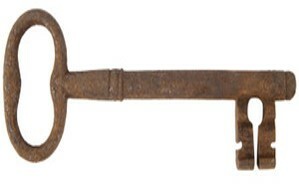 They waited with bated breath in the hope that what he would extract would be a very large key to wind up the clock. However, he did fix the problem and the clock resumed its regular bongs and has done ever since. Perhaps the BBC should use RMSG’s bongs to replace those of Big Ben? Hmm – not anticipating BBC sound recordists turning up at School any day soon.